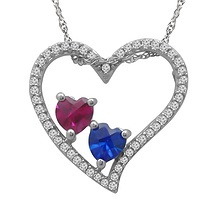 Heart-shaped stones sparkle to symbolise your love for each other. Diamond accents complete the look. Personalise with two engraved names.